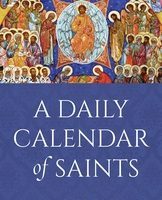 You have probably all seen certain pictures of the saints—usually Western pictures—in which all the saints look more or less the same: the same doe-eyes, the same piously folded hands, the same soft, feminine features found on both women and men. These images offer a particular view of sanctity, proclaiming sanctity as soft, meek, harmless, quiet—and utterly ineffectual. Looking at these pictures you would never guess that those saints were real people, men and women with distinctive—and sometimes sharp—personalities, people capable of wit, anger, regret, and repentant tears. Nope: those feminized saints can’t be real people like us. They are utterly different—and therefore utterly irrelevant. You have probably also read hagiographical accounts of the saints which function in the same way as those feminized Western pictures. In these accounts, all the saints are more or less the same: they all do amazing miracles, they all exude sanctity and sinless perfection, and they all never, ever do anything wrong. Reading story after story of different saints in these hagiographies, my eyes tend to glaze over as the saints melt into one another and become more or less interchangeable. Their names and dates and locales may be different, but their distinctive struggles, failures, victories—and therefore their personalities—have all been sandpapered away. Doubtless such hagiographies had and have their uses. But if you want to encounter the saints as they really were in these stories, you will be disappointed. Take for example the exchange in Constantinople between St. John Chrysostom and St. Epiphanius. The latter was a great heresy-hunter, whose prestige and help had been solicited by Theophilus, bishop of Alexandria, who secretly intended to take down his rival Chrysostom. In other words, Epiphanius was used by Theophilus—some might say suckered—and Epiphanius arrived in Constantinople to sniff out and eradicate Origenism from the capital. Theophilus had told Epiphanius that John was an Origenist, and Epiphanius believed him, and so the venerable old fighter came to Constantinople prepared for battle. Epiphanius’ attacks on John’s orthodoxy came to nothing, of course, and in a few days he left the capital, bitter and disillusioned. According to one church historian (Sozomen) when Epiphanius was met at the quay by a number of bishops who gathered to see him off, he said to them, “I am glad to leave you with the city, the court, the whole wretched show. I am off home as fast as I can”. Another story related by the same historian recounts that before boarding the ship home, Epiphanius sent John a note saying, “I hope you will no longer be a bishop when you die!”, to which John is said to have retorted, “And I hope you will not set foot in your city again!” Ouch. Whatever the actual historical truth of the matter, it is clear that the two men had little love for one another, and each was glad to see the other go. In other words, Epiphanius and John were both real people. Too real, as it turns out, for the hagiographers. In one sanitized account, their exchange reads as follows. “Chrysostom heard that Epiphanius had agreed with the Emperor against him. Chrysostom therefore wrote him a letter: ‘My brother Epiphanius, I hear that you have advised the Emperor that I should be banished. Know that you will never again see your episcopal throne’. To this, Epiphanius wrote in return: ‘John, my suffering brother, withstand insults, but know that you will not reach the place to which you are exiled’. And these two prophecies of the two saints soon came about. Epiphanius took ship and set off for Cyprus, but died on the voyage. The Emperor sent Chrysostom into exile in Armenia, but the saint died on the road”. In this version, we see little if any rancour between the two saints: for John, Epiphanius is “my brother Epiphanius”; for Epiphanius, John is “John, my suffering brother”. They don’t exchange bitter or angry barbs, but prophecies. This is not history, of course. It is “spin”. And it has the unintended effect of making both Epiphanius and John rather less like real people, and more like the interchangeable porcelain figures one sees in those feminized Western images. I suggest that to appreciate the saints fully, we need to see them as real people, men and women who made mistakes, who had bad days and as well as good ones, and who knew how to repent. We can admire the porcelain figures of the Western images and the hagiographies, but not really love them. To love the saints, we first need to see them as they truly were. It was for this reason that I written a book that attempts to get behind the spin-doctoring and to see the saints as they truly were, trying my best to unite loving piety with historical accuracy. Obviously such a large task is beyond the competence of any single person, including me, but a beginning must somehow be made. Sometimes we know a lot of historical details about the saints; and sometimes we know very little. But ultimately our relationship with the saints depends not upon our knowledge of them, but their knowledge of us. If we get some historical details wrong, no doubt they will be happy to correct us when we meet them in the age to come. Until then we can love them, rely upon them, and ask for their prayers. And enjoy learning as much about them as we can. 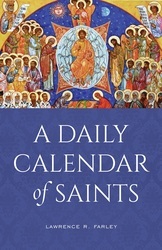 If you would like to learn more about them, my book A Daily Calendar of Saints, can be ordered here. If your anecdote Chrysostom is characteristic of the whole book, it might be a nice history. But how can it help me in my spiritual life to read about a giant like him failing to love his enemy? And we’re to ask these saints to help us? Unless the repentance stories somehow make it up, what’s the use? The story of Chrysostom and Epiphanius is not characteristic of the book, and was related to show how some hagiographies unduly sanitize the saints. But let’s be honest – it is characteristic of hagiography in general. There were canonized saints who did awful things. I would like to know how we are to respond to that on a personal level. Why should we look up to them? It depends why they were canonized. St.Cyril of Alexandria was canonized for his courageous stand against the heretical Christology of Nestorius, not his cuddly personality. St. Seraphim of Sarov, on the other hand, was canonized for his personal sanctity. I’ve heard that, and I don’t understand it. My impression is that people are canonized because we believe they have achieved some level of perfection – therefore we cease to formally commemorate them once they are canonized. They were canonized not because of their moral perfection during their life-time, but for other reasons (e.g. 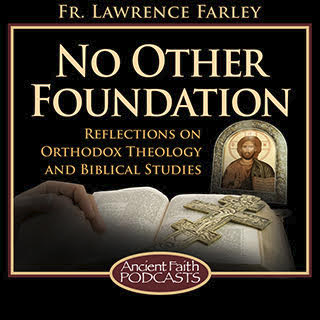 their contribution to Christology). Now that they are in heaven, doubtless their earthly imperfections no longer afflict them. That is why we now no longer pray for them in the same way as we pray for others, but also pray to them. What makes you think that they’re in heaven, if their life didn’t conform to the commandments? Also, when you say “earthly imperfections”, do you mean sins and passions? Yes, by “earthly imperfections” I meant the sins and passions common to all men. And I think they are in heaven because they repented of their sins and strove to please God. Happily we are saved by grace, not by sinless conformity to the commandments. I think we need to remember the dramatic conversions of these ordinary sinful people, whose hearts and lives changed so much that they conformed to the Church but also began living a life of sanctity and service to the Church in one way or another. It was the “mentanoia” – sudden change of heart and transformation followed by the commitment to serve, that made them a saint – exemplary. I’m looking forward to reading your book, Father. I’ve found it difficult to read the typical lives of the saints because it just gets kind of discouraging: born to wealthy prominent parents, loved by everyone, never said a cross word, never had a passion to conquer, persecuted by creeps, performed miracles, died with angels in attendance. After reading a few of these I have the sense that God couldn’t possibly like me and I will be going straight to hell. The saints I can identify with — who started out pretty rough and were changed by Christ over time but still retained a personality — seem few and far between. But they are the ones who speak to me and tell me it’ll be fine if I just persevere. I find the same thing. I love reading stories about saints in the histories, but when I turn from history to hagiography, it is like turning from colour to black and white (at best). I especially enjoyed J.N.D. Kelly’s biographies of Chrysostom and Jerome, and the anthologies of western and eastern saints by Robert Payne. McGuckin’s magisterial works on Gregory of Nazianzus and Cyril of Alexandria are also wonderful, though perhaps a bit heavy for some.